Older vehicles in Fort Lauderdale, despite the near perfect weather and driving conditions, at some point need a rebuilt transmission. Rebuilding or repairing a transmission is not child's play and can only be completed by trained professionals who must update their skills and licenses constantly in order to maintain their skills in the ever changing world of auto transmission repair. Automobiles change as new cars are manufactured so this education is critical. 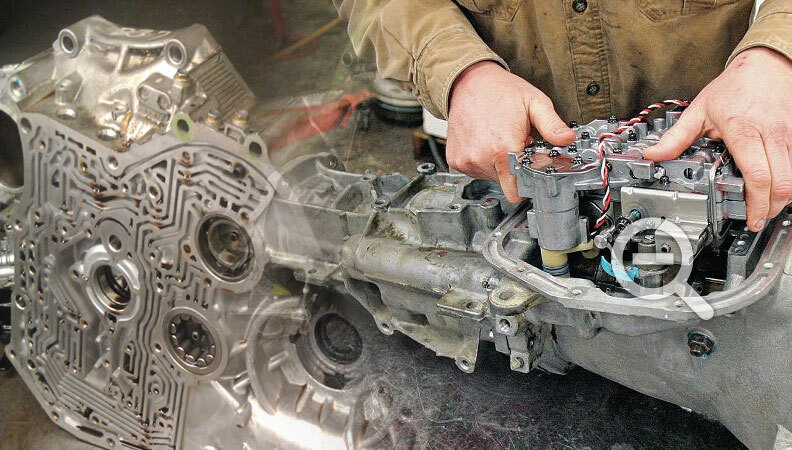 The rebuilding of an automatic transmission or rebuilding a standard or manual transmission begins with first by dismantling the transmission on the work bench and then systematically deciphering first the worn and damaged parts that are visually present and then finding the initial reason why the transmission failed to begin with. Each transmission has it's own set of problems and rarely are the same, even in similar transmissions. Step one is testing the torque converter which is actually separate from the transmission and is bolted up to the back of the engine, the purpose of the torque converter is to transfer the power from the engine to the transmission and this transfer is done by fluid pressure transfer. Inside the torque converter there are two large fans, one fan turns clockwise and the second fan turns counter clockwise, each of these fans turns on a gear that's called a sprag gear, the purpose of the sprag gear is to hold tension on the fans so that the fans will turn at the same speed the engine is turning. When the sprag is not operating efficiently the line pressure into the transmission will drop and the end result of that happening will result in areas of the transmission not being lubricated properly and this will initiate the transmission to start running hot, especially here in Fort Lauderdale where the heat of the summer can exacerbate the problem. Once this occurs, the components of the transmission start to fail. The parts necessary to rebuild a transmission usually begin with an overhaul kit, this will consist of your basic rebuilding soft parts such as your fiber clutches, lip seal kit, sealing ring set, thrust washer kit and gasket set. Other parts necessary are referred to as hard parts, these may include pump assemblies, planetary sets, bands, drums, and valve bodies. A rebuilt transmission will last you years to come and is just as reliable as a remanufactured transmission.